Have the lawn you have always dreamed of...go artificial! 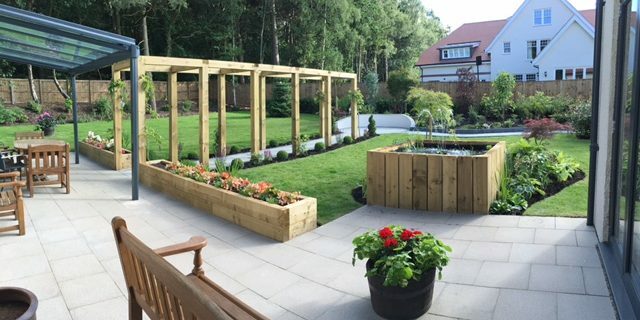 Welcome to EGM Landscapes Ltd. We are based in Harrogate, North Yorkshire and specialise in artificial grass installations, creating low maintenance gardens and landscaping. Founded in 2011 by William Shippam, the EGM team have grown dramatically over recent years to become the areas leading installer of artificial lawns. We work closely with our clients to create exceptional outdoor spaces that are both beautiful and practical. Based in Harrogate. We operate across the North Yorkshire region. What can I say apart from, Amazing Job!! William and his team have transformed my garden laying artificial lawn and installing a new fence. What was once a messy boggy area which was an eyesore to look at is now a beautiful clean spacious and the most important safe place for my children to play. I am so happy and would defiantly recommend William and his team, polite and very hard working. Thank you again guys x.
William and his team are efficient and professional. William re-designed my front garden and designed a patio for my back garden. He and his team arrived as promised and completed the jobs to an extremely high standard within the stipulated time. All involved were polite, helpful and considerate to my disability. Their hard work has been admired by family, friends and neighbours. William has also maintained my garden for the last year and I am delighted with the results achieved. I have no hesitation in recommending them. I've had my front garden gravelled. William and the team have done a very professional job, I'm vey pleased. EGM have just completed planting a hedge and a shrubbery border to our front garden. Extremely professional from start to finish. Listened to what we wanted and delivered exactly that. Fantastic, friendly service. Would thoroughly recommend. William and his team did a wonderful job of re-modelling the garden. They were 100% reliable and completed the project on time and on budget. They were easy to deal with and caused no fuss. I heartily recommend them. In life you get what you pay for. William and his team did an amazing job installing our artificial lawn. A very professional company to deal with and looking forward to working with them in the future. 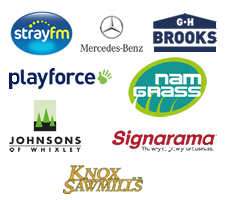 Very professional company, from start to finish every aspect of the work was carried out to our satisfaction. Made an ordinary garden and driveway look amazing! We are highly delighted with the results and would recommend EGM to anyone. In the words of our grandaughters 'awesome'!!!!!! A very talented young man. William and his team installed an artificial lawn in our office garden. They were very professional, pleasant, reliable and did a great job of the groundwork preparation and of the finished lawn in a small but tricky space. I would recommend them wholeheartedly. The lawn looks fantastic - a total transformation! William and his team have just completed the work on our church grounds. I am very pleased and very satisfied with the work undertaken by William. A very efficient and polite team of workers who simply got on with the task in hand, which was to improve the appearance of the church grounds which was completed over three days. It is clear to see why other customers want to recommend William and his team. I have already recommended EGM Landscapes to some of my parishioners. We are very pleased with our garden makeover which took all day and would highly recommend William and the team. They transformed the garden and it looks amazing. They did everything they said they would and were very efficient. Thank you! A thoroughly professional service from start to finish. We are delighted with the result and would recommend their services to anyone who is thinking about artificial grass.